A rebounding drill from Coach Justin Remington, Assistant Women’s Basketball Coach at San Bernardino Valley College. Coach Remington is also a basket instructor for PGC. I have a link at the bottom of the post for you to access the entire pdf of his Favorite Practice Drills. 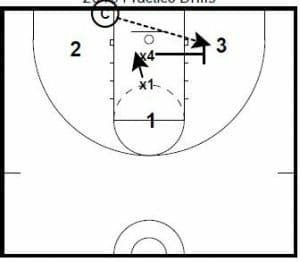 The drill is not game-like, but in my opinion it does simulate inside defenders moving to establish defensive positioning and then having to get rebounding position when a shot is taken. Hopefully you can tweak it in a way where it can be added to your drillbook. Or, it can be used as a new drill here in the second half of the season. 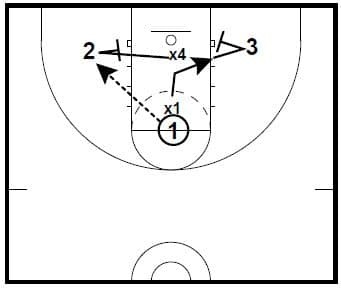 There are several ways that you can make the drill competitive: Split into 2s, 3s, split the team into two teams, you stay in on defense until you get 3 rebounds in a row, a point per rebound, see which pair can get the most consecutive rebounds. 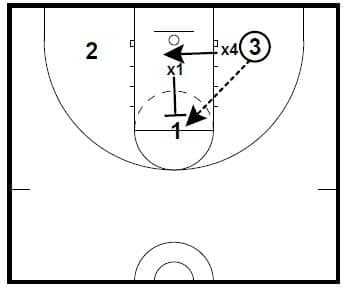 Coach starts with ball under the basket.